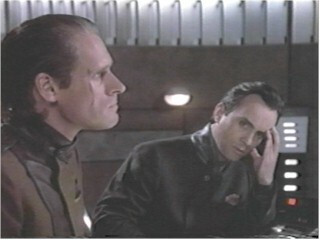 Is anyone out there a devout Babylon 5 fan? 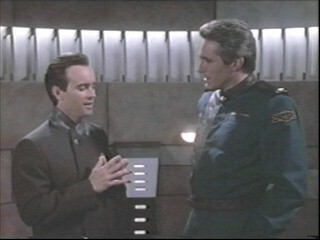 Fortunately for me, my father is, and he collects the official episodes in boxed sets. 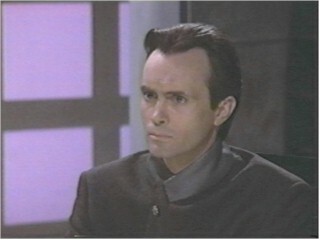 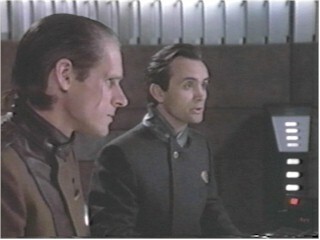 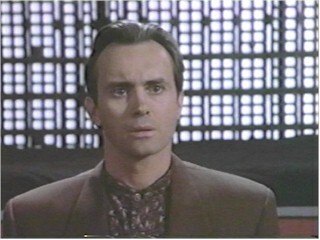 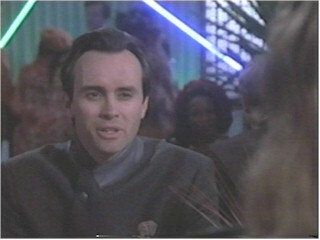 Our incredible Jeffrey Combs appeared in only one episode, "Eyes", during the first season. 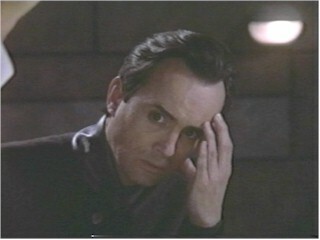 In case you are not aware, the series has ended, but I hear that there are plans for another Babylon series. 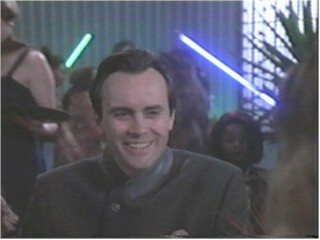 Combs plays Harriman Gray, a Psi Corps investigator who has come to test the loyalty of the commanding officers by means of a mindscan (he is a telepath). 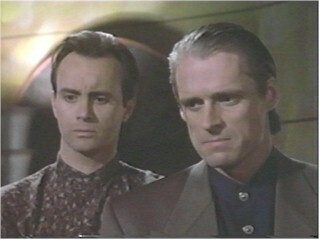 This is definitely worth the watch, if you can find a copy.